In Quincy, the Wollaston Theater, or “The Wolly” as it is often called by locals, has been undergoing a process of asbestos abatement for quite a while, as it is no longer in operation as a movie house like it once was. Many were hoping that the town would purchase the historic one-screen movie house and restore it, so it could be enjoyed by generations to come. According to a recent news feature from the Patriot Leader, the town’s mayor actually considered using public funds to purchase the old movie theater, but sad the owner is asking way too much money, and he can’t justify using that much taxpayer money to save the historic building from demolition. The current owner purchased the nine-decades-old theater four years ago for $600,000. He planned to demolish the building and turn it into an Asian market. The city denied his permit request on two occasions due to the effect such as business would have on traffic in the area. He appealed this ruling and was denied again. He agreed to sell the old theater to the city but was asking between $2 million and $3 million as a price for the sale of the building, which his obviously far more than he paid for it less than four years ago. The mayor was apparently earnest in his desire to save to old movie house and restore it since that was actually one of the campaign promises on which he ran for office during the last election when he came to be the city’s mayor. 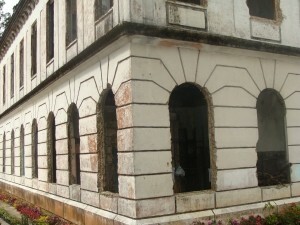 He said that the condition of the building was so bad that even if he approved the purchase of the building for millions of dollars, that would only be the beginning, because the town would have to pay for the expensive asbestos abatement project, and then pay to renovate the old theater, which would have required gutting the building to the exterior walls and rebuilding from there. One of the reasons asbestos abatement is so expensive, as our Boston mesothelioma attorneys can explain, is because it must be done by a licensed contractor who is using workers who are certified and trained in proper asbestos removal, and these workers must be given proper protective clothing and respirators or ventilators. In addition to their personal protective equipment, the site must be draped with protective sheeting, the asbestos material must be kept wet to prevent as much dust from escaping as possible, and there must be a series of industrial air handlers in place that work similar to a giant vacuum cleaner designed to filter out deadly asbestos particles. If the asbestos fibers are inhaled or ingested, they can become embedded in the lungs or a protective layer of tissue in the stomach or chest cavity, and they can turn into a deadly form of cancer known as malignant mesothelioma. It normally takes between 20 and 50 years for a patient to development symptoms, but, once they do, there is no cure, very few actual treatment options, and the patient will typically not survive more than a year or two.